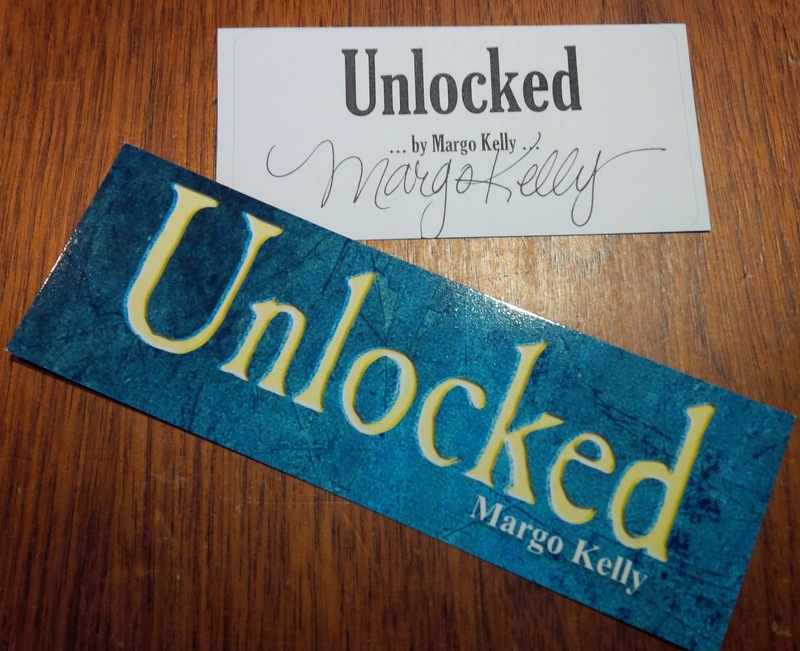 Margo Kelly: Giveaway: #UNLOCKED Pre-Order Prize Packs! 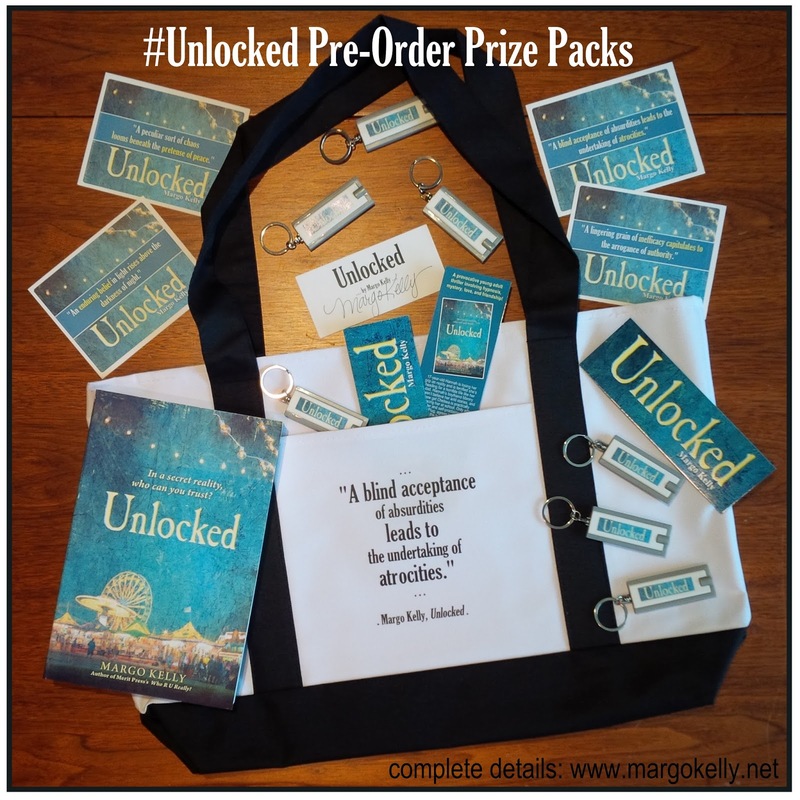 Giveaway: #UNLOCKED Pre-Order Prize Packs! Everyone who purchases a copy of UNLOCKED by 9/30/16 will receive a prize. Continue reading for more details on how to qualify and details for each of the prizes offered. 1. 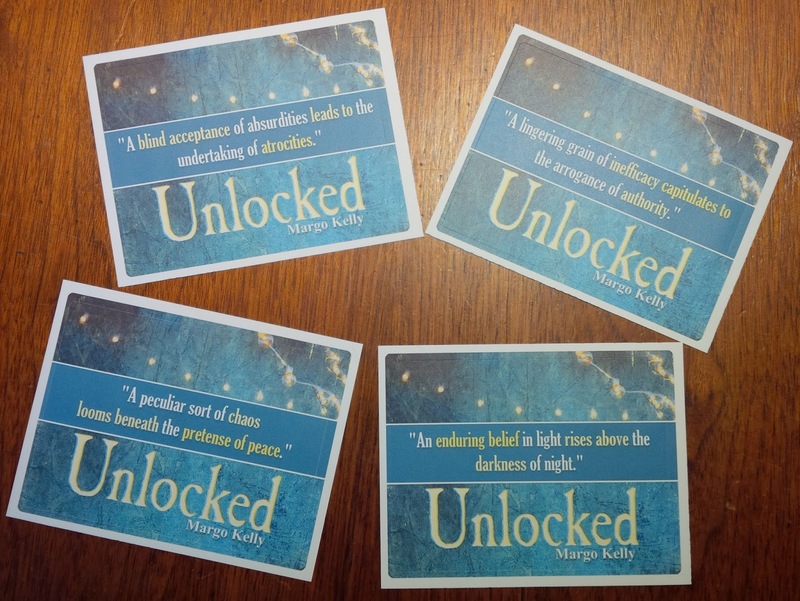 Visit any retailer (online or in person) and order a copy of UNLOCKED. 2. Snap a picture of your purchase receipt. 4. Send your email no later than midnight (MST) 9/30/16. 6. If you're attending the book launch party on 10/1/16, see below for different rules. EVERYONE who qualifies (see the steps above) will be eligible to receive a standard bookplate, signed, to adhere inside your book and a custom bookmark. FIFTEEN random winners (from those who qualified) will receive one of four possible designer bookplates (pictured below), personalized and signed. These winners will also receive a custom bookmark. TWENTY random winners (from those who qualified) will receive a flashlight key chain, a standard signed bookplate, and a custom bookmark. ONE grand-prize winner will be drawn at random (from those who qualified) to receive a deluxe boat bag with a quote from the book on the front pocket, a signed designer bookplate, a custom bookmark, and a flashlight key chain. 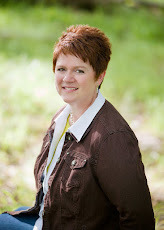 --- EVERYONE in attendance will receive a custom bookmark. --- The FIRST 50 PEOPLE to purchase UNLOCKED at the event will receive a flashlight key chain! 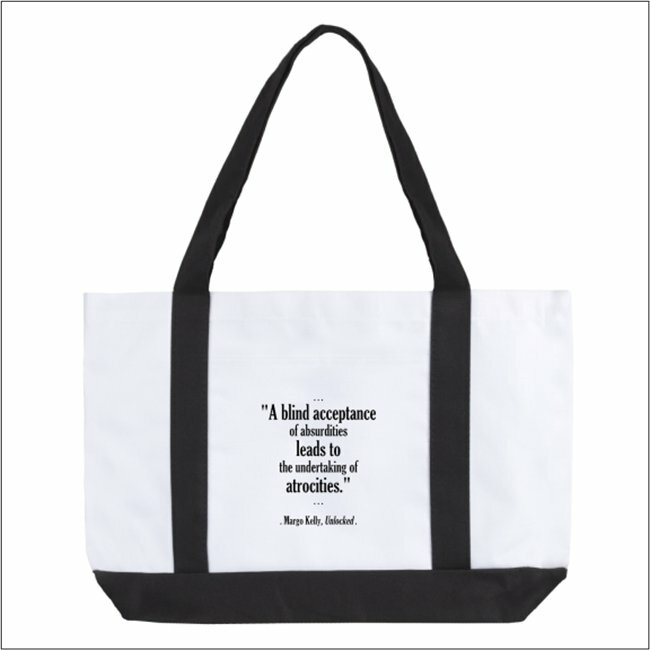 ELIGIBILITY: This giveaway is open to residents of the United States and the District of Columbia. All federal, state, and local regulations apply. LIMIT ONE ENTRY PER PERSON. VOID WHERE PROHIBITED OR RESTRICTED. ENTRY DEADLINE: All entries must be received by midnight 9/30/16 Mountain Standard Time. HOW TO ENTER: If you have pre-ordered a copy of UNLOCKED, email a picture of your purchase receipt to UNLOCKEDprizepack@gmail.com. You can also enter without pre-ordering by sending an email with your name and mailing address to the same email address. Automated entries are prohibited, and any use of automated devices will result in disqualification. Sponsor is not responsible for incorrect or inaccurate entry of information by entrants; lost or late entries or transmissions; interrupted or unavailable network, server, or other connections; scrambled transmissions or other errors or problems of any kind whether mechanical, human, or electronic, technical malfunctions of any computer hardware, software, or any combinations thereof; or problems associated with any virus or any other damage caused to entrants’ systems. Incomplete or illegible entries will be voided. PRIZES: See above for prizes. No transfer or cash or other substitution of all or part of a prize is permitted. Sponsor shall not be responsible for any delays, damage in the delivery of the prize, and/or loss of any prize in connection with delivery of the prize via mail. In the event that there is an insufficient number of eligible entries, Sponsor reserves the right not to award the prizes. WINNER SELECTION: The Winner(s) will be chosen from all eligible entries received in random drawings to take place following the close of the entry period by Sponsor, whose decisions concerning all matters related to this giveaway are final and binding. All winners will be announced on social media. The odds of winning depend on how many eligible entries have been received. Winners will be notified via email and must respond to email notification within ten (10) days of receipt. Noncompliance with these conditions may result in forfeiture of the Prize, and Sponsor reserves the right to select alternate winners (in random drawing from other eligible entries received before the deadline) in such circumstance. If winner notification of the Prize is returned as undeliverable, Sponsor may, at its discretion, select an alternate winner. DISCLAIMERS: By competing in this giveaway and/or accepting the prize, entrants agree that Sponsor will have no liability whatsoever, and will be held harmless by entrants for any liability for any injuries, losses, or damages of any kind to person and property resulting in whole or in part, directly or indirectly, from the acceptance, possession, misuse, or use of the prizes, or participation in this giveaway. By accepting a prize, each Winner consents to the use of his/her name for publicity and promotional purposes on behalf of Sponsor with no additional compensation or further permission (except where prohibited by law).